Because of its milk that is a staple food for many human beings, the Cow is arguably one of the most useful animals in the world. It was one of the first animals domesticated by humans, and its symbolic importance is rich. It is emblematic of fertility, abundance, wealth, the universal Mother, and of rebirth. The Cow is also a gentle and compliant creature. 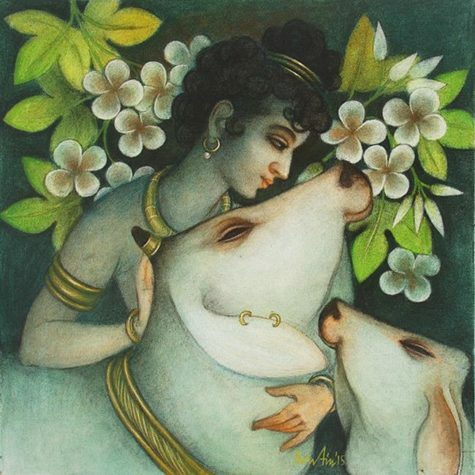 In Vedic literature the Cow is also a symbol of abundance and fertility as it represents both earth and sky. To Hindus and Buddhists, symbolism of the Cow deals with patience and holiness.It is considered India’s most sacred animal. The calm, tender nature of the Cow wins this right among the Buddhists. Hindu deities rule over each and every part of the Cow. During times of famine, the Cow is far more useful as a creature that can produce limitless amounts of milk, then as a dead beast that would provide meat for a limited period only. In Egypt the Cow was personified as Ahet, the mother of the Sun itself. To make themselves fertile Egyptian women wore amulets of the Goddess Hathor, with the head of a Cow, in her guise as the Creator. In Norse mythology the Cow makes an appearance as Audhumla, the mother-ancestor of all living things, whose utters emitted the four rivers of power – these provided nourishment for the giants (primarily the first giant, Ymir) that ruled the First World. In Celtic mythology the Cow is sacred to the Mother Goddess Brigit who also governs the Earth, mothers, children, health, nurturing, providence, and the full range of the Female element of the universe. 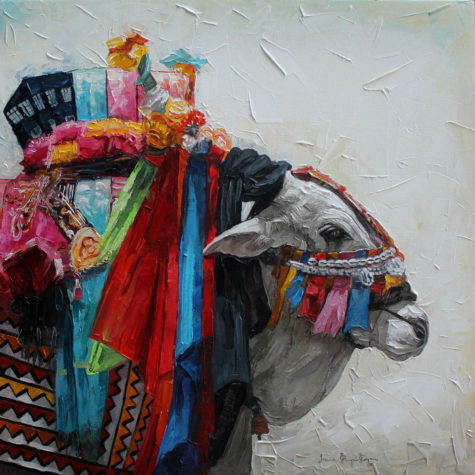 This symbolism remains consistent with that of many other cultural settings and supports Cow as representing life’s fragile beginnings and the necessity to safeguard and restore those who have no voice or support. In Greek myth, one of the names for the great Cow was Europa, which means “full Moon.” The stars were said to be the children of Europa. In Lancashire folk-speech, the name “cow’s lane” was sometimes given to the Milky Way, the traditional path of souls, as it was also in some parts of Germany. This may be connected with the old north European belief that whoever gave a cow to the poor during his life would be guided by that cow along the perilous soul-road after his death, and so would be sure of reaching Heaven in safety. Once, there was a custom whereby the cow was brought to the sickroom, and in what must have been a distressing and rather frightening ritual, the dying person was encouraged to grasp the tail of the cow as he breathed a last breath. This psychopomp aspect of the Cow is still celebrated in the Nepali festival called the Gai Jatra or Cow Festival. In a boisterous celebration, every family that has lost a member during the course of the year has to take part in a procession, leading a Cow, or if no animal is available, then a child dressed in a cow costume is considered to be a fair substitute. The Cow is believed to guide the soul on its final journey, including a voyage through the Milky Way, the constellations of stars said to be the milk splashed by the great Cow that was the mother of the Universe. In England the milk of a red cow was formerly supposed to be superior to any other, and to have healing properties. Such milk is often specifically mentioned in 17th and 18th century medical books as an essential part of remedies for various ills, particularly for consumption and chest ailments. Red is, of course, a life-giving color in mythology and folk tradition alike because it is associated with fire and with blood, and red objects of various kinds figure constantly in healing charms and folk remedies. According to a French legend, Cows always have a sweet breath because when Our Lord was born in the stable at Bethlehem, a Cow, seeing Him shivering in the cold, warmed Him with her breath and drew the hay over Him with her lips. As a reward for this act of kindness, she was promised that her breath, and that of all her descendants, should ever afterwards be sweet, and in addition, she was given the privilege of carrying her calf for nine months, like a Christian woman with a soul to be saved. Because you’re seeking out Cow symbolism and meaning, a deep stirring must be happening in your soul. 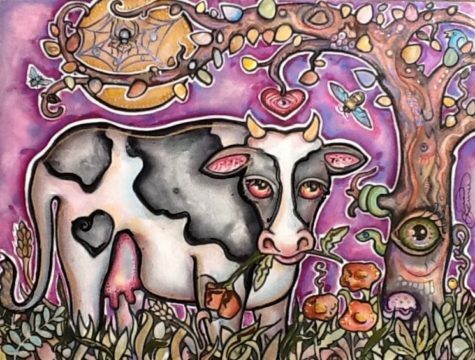 Cows represent motherhood, Mother Gaia, and the Mother Goddesses. Take time to meditate on all Mother Cow has to offer. She is a sacred reminder of fertility, birth, and nurturing. 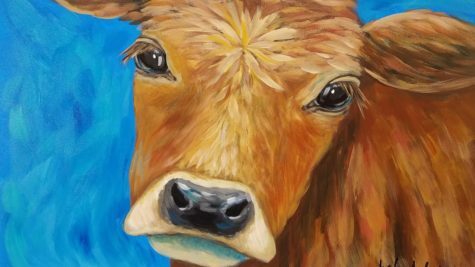 When Cow appears as your Spirit Animal trust that the mighty storm will pass and you’ll be OK.
Cow as a Totem Animal belongs to those with profound Mother Goddess instincts. Call in Cow as your Power Animal when your soul needs TLC. Those who know Cow as their Totem Animal supply a sense of stability and solid, loving, growth-oriented relationships with self, others and the environment. Cow people have the ultimate “mother’s intuition.” They can feel when others are out of sorts – when their auras are “scratchy” – and they always seem to know just what to say or do to help. Somehow, folks heal more quickly when in the company of Cow Totem Animal people. If Cow is your Totem Animal, always remember that one cannot feed others from an empty trough. Though you were born with the natural instinct to take care of the world, YOU are part of it. Your needs are just as important as everyone else’s. A wise Cow mama know when to take a break and nourish her own mind, body, and spirit. We should always work to have a positive and happy home environment. If we don’t, we should inquire deep within as to how we can change that. Calling upon the Cow animal totem, we can learn how to make basic changes that are needed to balance the joys in our surroundings. 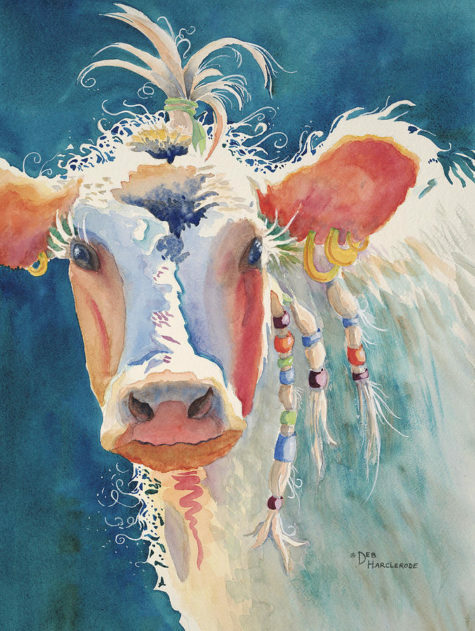 New beginnings are also a theme associated with Cows in conjunction with their maternal auras. Through their pregnancy, birth, nourishment to their offspring, and ultimate bodily gifts, Cows show the entire life cycle in its bittersweet beauty from start to finish. The female Cow totem is linked to its male counterpart, the bull, through the symbolism of fertility and reproduction. While the male totem exemplifies nourishment through its slaughter or sacrifice, a Cow symbolizes birth and motherhood. Cow symbolism assists us in understanding and embracing fertility and the relationships necessary for it. It is a soft and nurturing creature that arouses the soft side in each of us. The two animals are directly connected, as they are both needed to create new life. These animals illustrate both the masculine and feminine qualities that exist in every being. The bull is characterized by bold and rigid energies, while the Cow is far more gentle and tranquil. They remind us to constantly ensure that these energies are in harmonious balance. The Cow is a very powerful Spirit Animal. While at first you might wonder about the value of such a guide in your life, there is much about Cow to respect. Like many other animals, Cows as spirit guides have been revered in various religions and cultures around the world. In ancient Egyptian astrology, the Cow served several symbolic purposes, including being worshiped as the goddess of joy and maternal nourisher of all things. Additionally, they remind us to nourish ourselves physically, mentally, and emotionally. If we neglect the basics of our lives, it will be impossible for us to live happily and thrive. Every day, you should ask yourself if you are eating the right foods, drinking enough water, and exercising both your body and your mind to remain healthy and alert. Cow reaches out to those struggling with fertility offering motherly advice. You may not always like what Cow tells you (did you like everything your mother told you? ), but the heart behind the Cow Spirit Animal is truly one of giving. She always wants what is best for both you and your proverbial herd. When weathering a storm, be it emotional or physical, turn to Cow as your animal spirit guide and think of how firm Cows stand in vile weather. There is no moving a Cow and no influencing it, but for urgent matters of hearth and heart. Nonetheless, as you stand in your place of power, remember that Cow also gives you keen perceptions. Be on the alert for possibilities or potential peril. Cows are lunar, divine feminine energy. If you’ve ever looked into a Cow’s luminous eyes it’s easy to feel how loving they truly are. But, as soft and magickal as moonlight is, never forget it is the moon which is mighty enough to influence all the waters of the earth. The divine feminine is just like that. Pliable and giving, but it should never be mistaken for weak. Cows are a simple creature that get their joys from life’s basic pleasures. From this, they aid us aid us in remembering to be easy going and live in the moment. Often times, we ignore the innocent and plain moments that make our lives wonderful. If we can manage to clearly assess our lives, we will be reminded to thank our family members and those close to us for all that they do to make our lives joyful. Simply appreciating your community can change your mentality greatly, having positive effects on both your outlook and your body. One of the Cow symbol’s main spiritual messages is to never take this for granted, for eventually this life will end. If you want to have children, consider carrying a carved Cow totem and invoke Cow as your Power Animal. Cows are powerful symbols of new life. That life need not necessarily be as a parent however. It can apply to new jobs, new homes, and new relationships. Keep a Cow totem on hand when you need protection from negativity or nightmares. Like the Mother Goddess herself, Cow energy holds you close, reassuring that nothing will harm you. As a power animal Cow calls on you to love fully. Look at the world and the wonders of creation and let that fill you with all the characteristics you most need to embrace life. Note, however, that this power animal will not let you give and give and give without refilling. Those that serve need service, including you. Put out a cattle call and let people give back (it blesses them too). Lessons of gratitude and the appreciation of sacrifice are prevalent in cow symbolism, especially when presented in our dreams, and we would do well to integrate them into our daily life. A cow dream symbolizes some important issues. 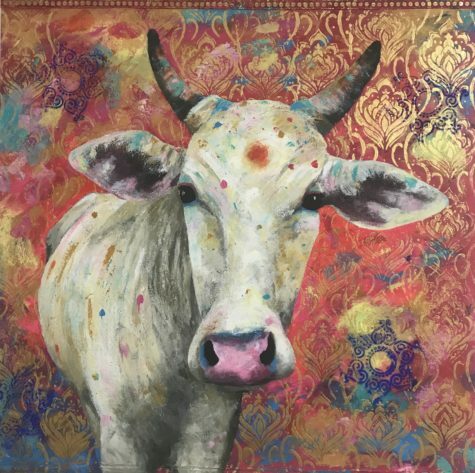 In Hindu culture, cows are sacred and represent fertility, nourishment, and motherhood. Cows also represent personality traits such as passivity and overall contentment. Seeing a cow in a dream is usually a positive thing, with the appearance of grazing cows, in particular, representing happiness and prosperity. Some ancient societies and some tribal societies measure a person’s wealth by how many cows he or she has. The dream cow indicates that you obey authority figures without questioning them. It may represent maternal feelings or a desire within you to be taken care of. If you see a herd of cows in your dream, it suggests that you have a strong need to belong to a group. A herd of cows may also mean that you have a group of close friends that you enjoy. If the herd was disturbed or anxious in some way, it means that something or someone may be acting on your group of friends in such a way as to cause trouble and pull the group apart. Dreaming of a field full of Cows portends improved finances or potentially a multiple birth in the family. A Cow grazing happily speaks of joy and contentment in the home. If the Cow represents self, it’s a signal that you need nurturing and spiritual nourishment. The appearance of a cow with the face of a skeleton in your dream means that your mother or some mother figure in your life is acting coldly toward you or not responding to your needs. If you dream of cow with a calf, this is always a positive sign. If you dream of being a cow, this suggests that you are afraid of being stupid. Dreaming of a sick cow suggests that some plans you’ve made for the future are threatened and require some action from you to avoid problems. Because cows often represent motherhood, they are also representative of the feminine part of a man’s psyche. 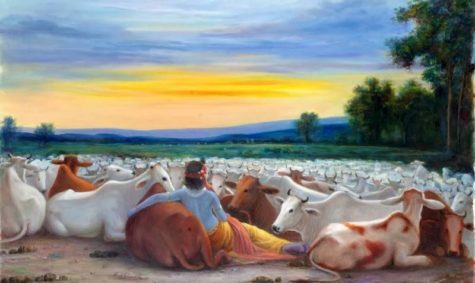 If you are a man, the dream of a cow suggests that you recognize this part of yourself and incorporate it into your life in order to attain greater psychological balance overall. 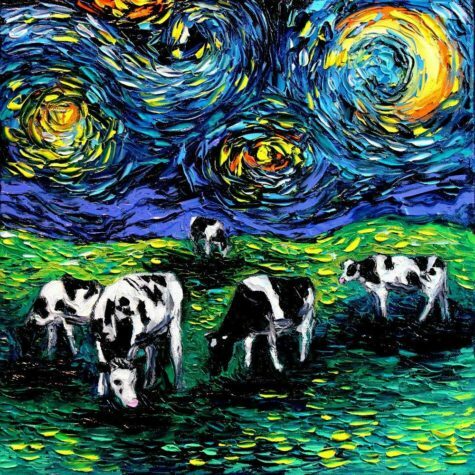 Dreams of cows are symbolic of peace, passivity, endurance, mothering, and humility. An old English superstition says that cows kneel down on Christmas Eve and pay homage to Jesus. They speak in human voices, but anyone who hears them will die before being able to tell anyone about it. Old farmers say that every herd has a “master cow” which leads the others into mischief. If a cow lows after midnight, it is a death omen for someone in the neighborhood, and similarly, if a cow lows three times in a man’s face, he has not long to live. If a cow licks the forehead of another cow, it is a sign that their owner is about to die. It is also a sign of imminent death if a cow enters your property. Three cows means three deaths. Yet another reason for keeping your gates closed, especially if you live in the country! It is important to wash your hands thoroughly after milking a cow. If you don’t, you will receive no milk on the following day. Cows that eat buttercups produce tastier butter. When out in the field an upright Cow tail foretells rain. A cow’s breath is believed to have health-giving properties and people suffering from tuberculosis were at one time encouraged to sleep with the cattle. If separating a calf from its mother, you should take a calf out of the barn backwards to prevent its mother mourning the loss of her child. In Ireland a hare appearing with Cows on Beltane signify witches who are up to no good stealing away with fresh milk. The Scots believed that putting tar behind the Cows’ ears would keep the witch from succeeding. Witches were also believed to be able to steal the milk of cows from a distance by means of a magical tether, the strands of which were plaited the wrong way. They could do the same by going through the motions of milking with a rope, or a pot-hook, or the legs of a stool, and sometimes they came in the form of hares and sucked the udders of cows lying out in the fields. When the true milking-time came around, such bewitched animals would give only a poor supply or no milk at all. 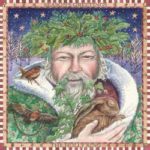 Various charms were used to counteract these thefts, one of which was to make the rope used to tether the animals’ feet out of horsehair, and to thrust a stick of rowan, or some other magickal wood, through it. In an article in Folk-Lore (1895), a story is told about a Bernera farmer whose cows gave so little milk that he was sure they were bewitched. He used such a rope, with excellent results; but as soon as the cows were released, they all rushed to a certain woman’s house and began tossing at the walls. This was regarded by the local people as clear proof that the woman had previously bewitched them, and so strong was the feeling against her on this account that she had to leave the district. In Discourse on Sympathy (1658) an old country belief is recorded that if milk boiled over and fell on the fire, salt must immediately be thrown on the place where it fell. If this was not done, the cow which gave it would suffer from an ulcerated udder. The winter solstice and winter season is the time of greatest power for those with the raven as a totem. The solstice is the shortest day of the year The sun shines the least on this day, thus it is the darkest. From that day forth, the light shines a little more each day This is symbolic of the influence of raven. It teaches how to go into the dark and bring forth the light. With each trip in, we develop the ability to bring more light out. This is creation. O Raven, strong, hear my cry! O Raven, eloquent and wise. The Raven’s keynote is that of magic, shapeshifting, and creation. While its cycle of power is that of winter solstice. 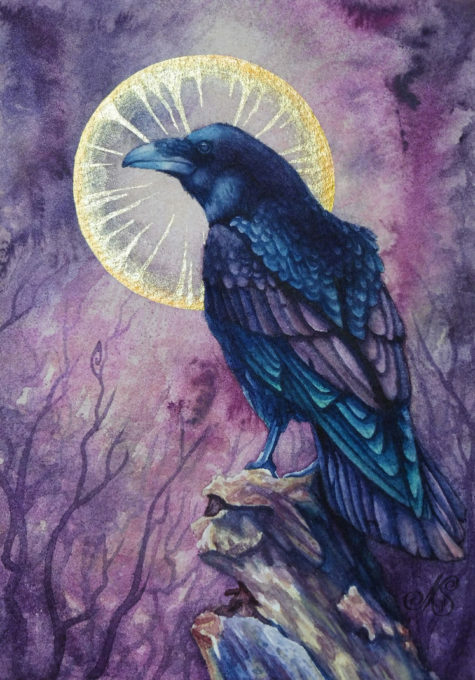 The raven is one of those birds that has a tremendous amount of lore and mythology surrounding it, and it is often contradictory. It is a bird of birth and death, and it is a bird of mysticism and magic. In the near East, the raven was considered unclean because it is a scavenger. It is one of the foods listed as forbidden in the Bible. The raven is one of the birds that Noah sent out after the floods, but it did not return to the ark. On the other hand, also in Biblical lore is the tale of how a raven fed the prophet Elijah when hiding from King Ahab. In Scandinavian lore, the raven played a significant role. The Norse god Odin had a pair of ravens who were his messengers. Their names were Hugin (thought)and Munin (memory). Odin was known to shapeshift as a raven himself. 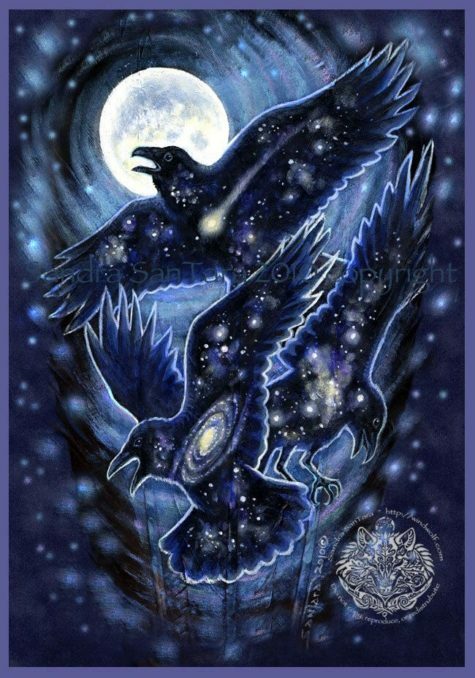 This reflects the idea of raven being a messenger of the great spiritual realm. In the Middle Ages the croak of the raven was believed to foretell a death or the outcome of a battle. It was even taught to the common folk in Christian communities that wicked priests became ravens when they died. Even today, some old timers tell how you can expect hot weather when a raven is seen facing a clouded sun. The raven is a member of the corvids family, to which belong crows and magpies and other such birds. In truth, the only really significant difference between the crow and the raven is in size, the raven being much larger. 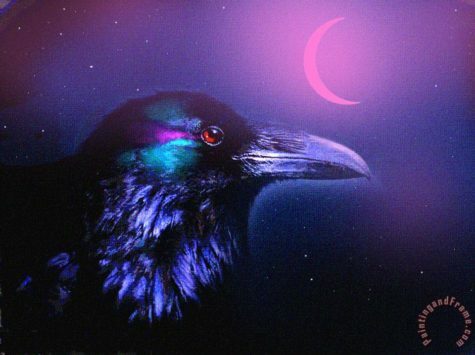 It would be beneficial to study the information on the crow for anyone who has a raven as a totem. Much of the same information that applies to one, also applies to the other. It is simply a matter of degree. Rather than repeat that information here, I would like to give you some information not generally associated with the crow itself. The raven has a wealth of myth and lore surrounding it. In many ways it is comparable to the coyote tales of the plains Indians, the Bushmen tales of the mantis and other societies in which an animal plays both a significant and yet confusing role. The coyote was both trickster and wise being-fool and wise one. This was true of the mantis in the tales of the Kalahari Bushmen. In the Pacific Northwest the raven has this same aura about him. In the Pacific Northwest, raven brought forth life and order Raven stole the sunlight from one who would keep the world in darkness. Nothing could exist without raven. Raven is honored in art and on totem poles, reflecting the tales and mysticism that have developed around it. With raven, human and animal spirits intermingle and become as one. This is reflected in its deep, rich shiny black. In blackness, everything mingles until drawn forth, out into the light. Because of this, raven can help you shapeshift your life or your being. Raven has the knowledge of how to become other animals and how to speak their languages. Ravens are great at vocalizations, and they can be taught to speak. They incorporate and mimic the calls of other species. In the Northwest are tales of the Kwakiutl Indians who offered the afterbirth of male newborns to Raven so that when they grew up, they would understand their cries. Raven can teach you to understand the language of animals. Ravens are playful, and they are excellent tool users. They will use stones and anything else that is available to help them crack nuts and such. They are birds not intimidated by others, and they are very fast and wary Because of this, they are not easy prey for other animals or birds. This implies the ability to teach you how to stir the magic of life without fear They are also known for their amorous behavior, reflecting the strong creative life force to which they have access. This creative life force can be used to work the magic of spiritual laws upon the physical plane. It can be used to go into the void and stir the energies to manifest that which you most need. All this and more is what raven teaches. If raven has come into your life, expect magic. 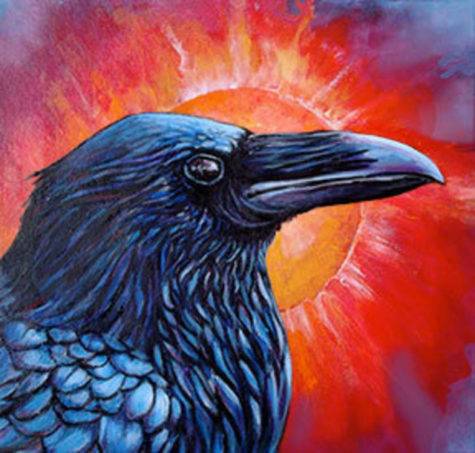 Somewhere in your life, magic is at play Raven activates the energy of magic, linking it with your will and intention. Raven speaks of the opportunity to become the magician and/or enchantress of your life. Each of us has a magician within, and it is Raven which can show us how to bring that part of us out of the dark into the light. Raven speaks of messages from the spirit realm that can shapeshift your life dramatically Raven teaches how to take that which is unformed and give it the form you desire.